The Code is an indispensable collection of honorable rules to live by. Boys will read and learn from it. "Guys" should be guided by these rules to become men. Men should give it as gifts to those who can still use a little extra help. Women should read it to see the world through a man's eyes. With a pleasing mix of reasoned argument and personal anecdotes, intelligent language and good humor, The Code is a refreshing change from a culture in which values and ethical stances are routinely dumbed down to five-second sound bites and bumper-sticker slogans. "I really liked The Code and am happy to recommend it. both humorous and serious, it is well-written in an original voice that offers guys an honorable path to manhood and offers women an essential insight into how their men operate in the world." W.E.B. Griffin, No. 1 best-selling author of more than forty epic novels in six series, with over 50 million copies in print in more than ten languages. 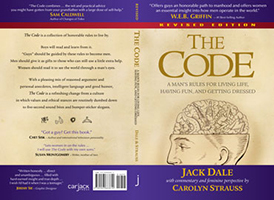 The Code follows each rule with commentary by Carolyn Strauss that tells a man who lives his life by that rule what to expect from the woman in his life ... and what to do about it. "Half-way through ... it struck me that Jack has codified the ancient Texas credo of living the Cowboy Way: Take care of your hoss before yourself; be kind to women and children; don't never hurt nobody that don't have it comin'." - Sam Caldwell, Award-winning author. This fully color illustrated children's book is written to increase the self-esteem in girls everywhere. E.G. (Every Girl) is perfect as she is and needs NO ONE to tell her so. She, and all other girls need to know that all she has to do is show-up, pay attention, tell the truth….and her journey and her path will appear. 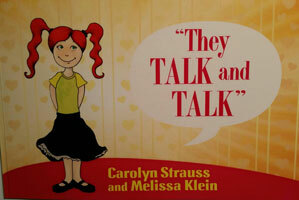 This book is designed for girls aged 4 - 8 years. It is the perfect gift for the little girl in your life! 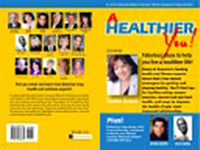 A collaboration of works by internationally acclaimed wellness and fitness experts including Billy Blanks and Deepak Chopra. Carolyn's "It's Your Movie" chapter features some of her most successful and original ideas. "It's Your Movie" inspires you to see your life as a movie with you as the director and star allowing you to have the power and freedom to change perceptions of your life and your relationships. Carolyn's intention for the use of this C.D. is that the listener finds peace, health and happiness in their body. Carolyn believes through meditation that this is possible! This guided meditation runs for 24 minutes. A 20 minute Christian based guided meditation. This meditation can be used walking or relaxing. It is affirming your power in partnership with God for manifesting your life/your movie to make it exactly what you desire it to be. 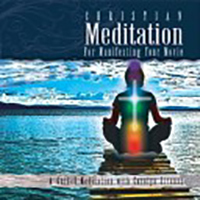 Whether you are a practicing meditator or a novice, this is the perfect CD for you. A workout DVD that is truly fun for all sizes and ages. Exercise host Carolyn Strauss is an A.C.E. and an A.F.A.A. certified personal trainer. Carolyn size 18 is a former Plus- Size model for the Ford Agency and the author of Specialty Modeling. She is also an internationally recognized fashion consultant traveling throughout the U.S. working with Department Stores and their customers. Carolyn's wish for you: "Take care of the body you have - feed it well; move it well; dress it well and CHOOSE to be happy with it." Birthday text - It's not that we're older, it's just that we're wiser. It's not that we're slower, it's just that we're more deliberate. It's not that we can't stay up all night, it's just that we value our sleep. It's not that we're choosier, it's just that we know what does not work. It's not that it's selfish, it's only that we deserve it! Congratulations text - Congratulations on your accomplishment! You should be so proud! I am so excited for you, I'd like to shout it out loud! That you've done it - achieved what you set out to do.... I never doubted you would make all your dreams come true. Thank-You text - Thank you so much it was really so kind. Such a nice thing will stay in my mind. If it's true you get back more than you give, the blessings to come should be a wonder to live. Size 5.5" x 8" Presented sealed in a white cardboard box with clear plastic lid. 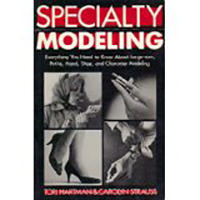 At Carolyn Strauss we take great pride and care in the selection and quality of products offered for sale. Should you find that upon receipt of your purchase that your item is unsuitable; please contact us at Carolyn Strauss to arrange a return or an exchange* (* downloads are non returnable and non refundable) Shipping and handling charges apply. Any unreceived items returned to Carolyn Strauss will be deemed the responsibility of the shipper, thus considered "Sold" -therefore no refund will apply. Please ensure that returned items are packed and shipped carefully in accordance with U.S. postal guidelines with your name, address, order number and postal tracking number detailed via Email before shipping.